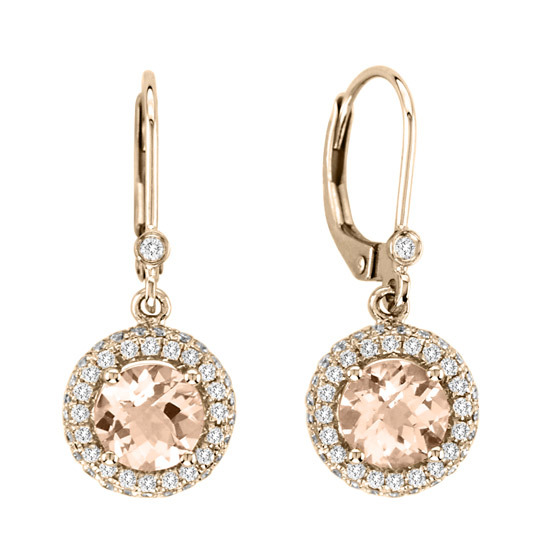 These beautiful morganite and diamond earrings are available in 14K rose gold. The round morganite in these earrings have a total carat weight of 1.54 carats. The diamonds have a total carat weight of 0.51 carats.